Why wait until New Years to make resolutions, I say. Inspired by Need Another Holiday who I found via On the Luce, I’ve decided to take up the challenge of taking twelve trips in twelve months. Starting, well, now I guess. I’ve done resolutions like this before, incidentally. One year, I resolved to read fifty books in a year. I finished my fiftieth (Breakfast at Tiffany’s – blessedly brief!) at about 11am on New Years Eve and felt enormously pleased with myself. Twelve trips though, is a little tougher for a time poor traveller like myself, but I figure it will force me to get outside my comfort zone and look for things to do and places to see that are considerably closer to home. I do have a few trips planned that are a little further afield as well. After Christmas, we’re off to Cambodia and Vietnam and mid-2014 we’ll be heading to Greece. That means I just have to find another ten trips to fill up the year. I’ve got until the end of October, 2014. Piece of cake. Sort of. I’ll be keeping you updated as to how my 12 in 12 challenge is going. There’s every chance I’ll leave it mostly to the last minute because, my friends, that’s how I roll. That approach got me through university, so it’s clearly a valid strategy. I’m very open to your suggestions (both close to Perth, Australia and further afield). 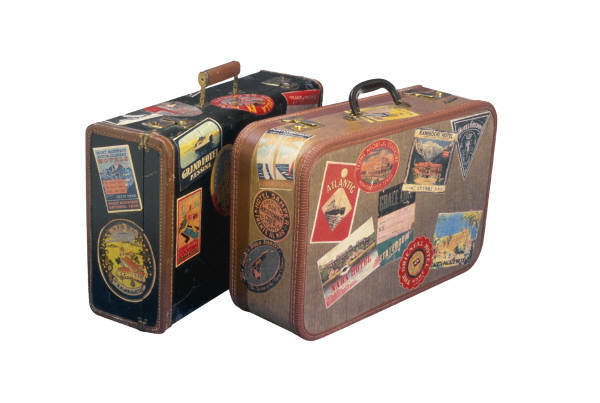 Look – my bags are packed already! Oh I can’t wait to see where you go over the next 12 months! So glad to have you join in! I’m busily planning as we speak! I’m not confident I can do precisely one trip every month, but I reckon I can manage 12 in a year. For me, half the fun of traveling is the planning and research anyway, so I’m revelling in it at the moment! Good to have you join in – look forward to reading about where you end up going! I’m dreaming about it already! Don’t worry. I’ll get there one day. Croatia is definitely on my (very long) list!